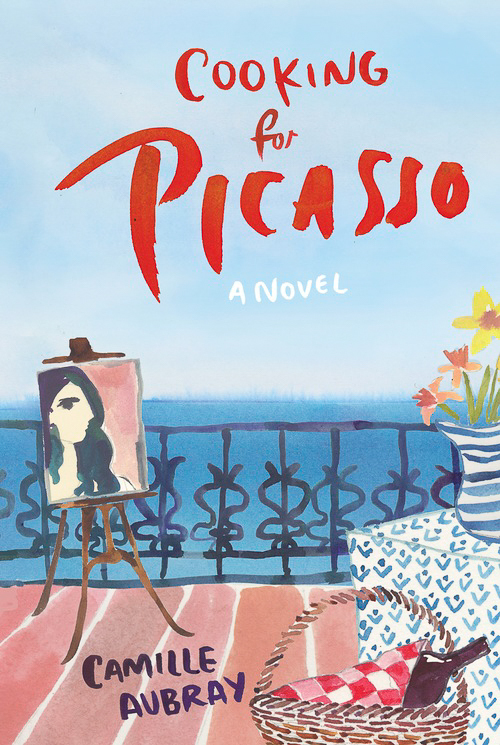 A book review of Cooking for Picasso by Camille Aubray. As a food blogger who loves all things French, I couldn’t resist Cooking for Picasso by Camille Aubray when given the chance to read it. I admit that gives a sort of biased view on what I like and look for in a book, and with that, Cooking for Picasso did not disappoint. We are introduced to Ondine, a young girl, working at her mother’s cafe in Juan-les-Pins, in the 1930’s. When a mysterious stranger, who is renting a small house nearby requests his meals delivered to him, Ondine’s mother gives her the task. As Ondine continues to bring food to the stranger, she eventually learns that he is Picasso and they develop a relationship. The relationship builds slowly and there is plenty of food descriptions to keep the foodie in me happy. We learn about Ondine through Celine in the present day. Celine is Ondine’s grand daughter. While Celine is caring for her mother after a stroke, she finds plans that her mother had to go the town where Ondine was born and take cooking classes from a chef there. Celine decides to go in her place to see what her mother was interested in. The story successfully weaves the two lives of the woven, alternating between then and now. There are some twists and turns. I enjoyed the book especially the food descriptions, a glimpse into French cooking in the 1930’s with a nice storyline to go with it.